Bath time with one can be hard enough, but bring another little one into the equation and it’s double trouble, literally! But it’s by all means not impossible. When there’s two to bath, ensure they’re safe, not too cold and both have to be dried and changed – if there’s only one person to hand, then it can certainly become more challenging. You’ve also got to anticipate all those other things that may arise such as an unexpected poo in the bath or pee on the ceiling situation, we’ve all been there! But the million dollar piece of information here and which can be the hardest to understand is that you can’t expect to do everything yourself, and you’re certainly not expected to. There is no problem in asking for some extra help when you need it. To make double bath time even easier, these bath time hacks will have you bossing bath time in no time! 2 x towels – you may want a couple extra for spillages, and yourself! Don’t be afraid to ask for help, even if you’re just bathing one baby. Whether it’s your partner, family member or friend, there’s always someone that is willing to help out when you need it most. Even if it’s just to be on hand with additional supplies or to help dress one baby when you’re washing the other. More hands make light work! With twins you’d just instantly think you have to bathe them both at once, right? But just because there’s two of them it doesn’t mean you have to do it all at once! It makes sense when they’re both at an age when they’re sitting up and a bit easier to manage but when they’re a newborn and young it will make your life much easier and probably take just the same amount of time washing them separately as it would washing them both at the same time. When one is being washed you can keep the other baby in their rocker or seat nearby ready for their bath. Once you’ve washed and changed the first baby you can then just switch! Whilst your little ones are still waiting to be bathed and are keeping warm, get the bath filled and ready with the right temperature, make sure you always test it before you put them in. Having a spare pair of hands to get this ready beforehand is much easier than having one! Remember, you don’t need to rush. Take everything at your own pace, there’s no rush. If you’re worried about going over their bed time, start a little bit earlier each evening and just find what routine works best for you. Are you a parent to twins? 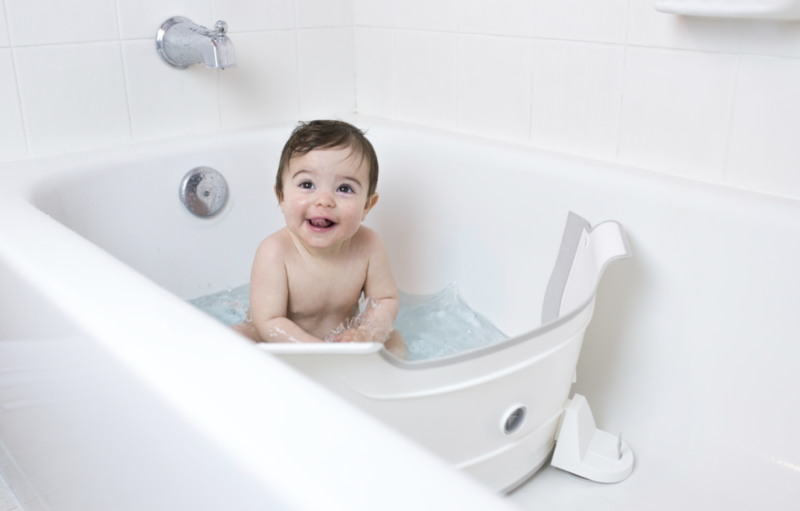 What are your top tips for mastering bath time for two? Keep up to date with the latest news from BabyDam over on our Facebook page or Twitter!